Check out these cool links for financial kid FUN! Money Word Search Money Word Search! Saving Money Worksheet Saving Money! The overall goal is to make sure you involve your children in conversations about money at an early age and lead by example. Simple lessons like explaining how vending machines work go far at a young age. Explain to your children that in order to get something you want, you have to give something in return. This can be tied into working for a paycheck which leads to depositing money into a credit union and being able to get cash from an ATM. In each case, you are inputting and receiving. It’s a matter of give and take! Explain to your children the difference between wants and needs. This is very important, and the sooner you can get them to differentiate between the two, the better! Take your kids with you on shopping trips and help them to identify wants vs. needs. How much of what you need can you get with $10? Also, spend time teaching your children the concept of earning money. Chores are a great way to get a teaching system started in your own home. Your children will understand what it is like to have regular responsibilities and they can start to see the rewards they will reap when their chores are complete. Finally, stress the importance of saving. A great way to help them get started is by setting an individual goal. Let them select an item that they really want. Make it fun; post a picture of that item in their room or on the refrigerator so that they will remember what they are saving for. Then, you can put a jar or coin bank in their room or even someplace out of reach so that they aren’t tempted to spend, and allow them to save change from chores or an allowance. Then, when they’ve saved up enough money they can purchase the item that they’ve been longing for! This will help you get the lesson across to your young ones that saving is important. 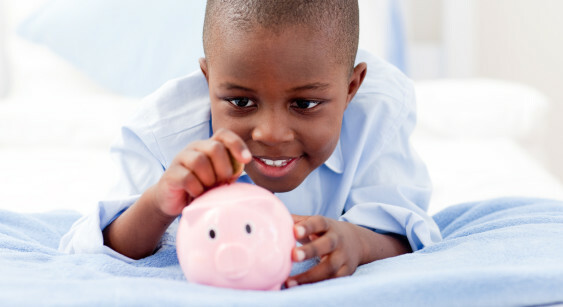 When you and your children are ready, PGAFCU offers Minor Savings Accounts that will help you and your children save. We only require a minimum deposit of $25 to get started. The Minor Savings Account is set up in your child’s name and, a parent or legal guardian will be required to be listed as a joint owner on the account because they are under the age of 18. It is a good idea to make it a habit to come down and deposit money into the savings maybe once a week or even once a month, that way your children become familiar with the credit union. It doesn’t have to be very much even if you allow them to deposit $1 into their account while you are doing your own transactions that will do the trick! Anytime we can be of further assistance please feel free to contact us at 719-542-3379.